Although Kefalonia is actually a fairly big island, its selection of shopping is quite similar where ever you go, with many virtually identical shops selling the same kinds of things. 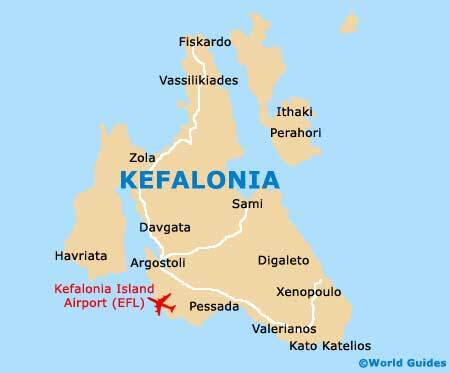 That said, if you are shopping for souvenirs of your time in Kefalonia, then there is plenty of choice. Local produce is for sale everywhere and always very popular, with items such as Kefalonian 'thyme honey', silver and gold jewellery (variable quality), and various wines. With so many vineyards growing on Kefalonia, island wine comes highly recommended and includes Robola Taoussi (white wines), and also Mavrodafni (red wine). Most shops on the islands tend to open seven days a week, although some of the smaller stores less geared up to tourists often choose to close on Sundays. 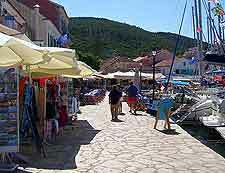 In general, the Kefalonia shopping hours are from 09:00, remaining open until 22:00 or even later, although many do close for an afternoon siesta, between 14:00 and 17:00. Tourists are often surprised to find that many of Kefalonia's shopkeepers can speak fluent English and are not only there to sell you something, but are extremely friendly and will help you make the right choice, even if that choice is not the most expensive. 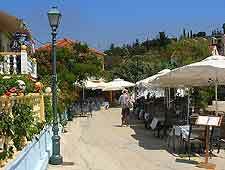 Argostoli is the best place on Kefalonia to begin your shopping experience, and because so many shops stay open until late, tourists often choose to sightsee or sunbathe by day, and then take a walk around the shops during the evening. 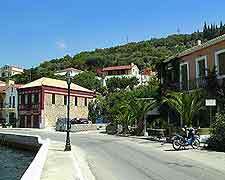 Within Argostoli, check out the shops around Valianou Square, and also those along Lithostrotou Street, which is widely considered to be Kefalonia's main shopping avenue. Close by, the resort of Lassi is also worth a look and features lots of travel-related stores and gift shops, often located close to the beaches.